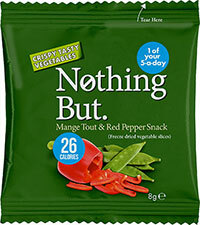 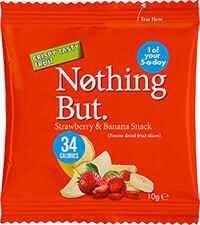 Mange tout is French for ‘eat everything’ and red pepper is lovely and …ooh la la…would you look at that…an empty packet of Nothing But. 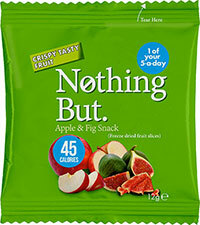 We just knew you couldn’t resist this très healthy snack. 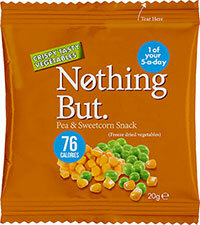 It’s really no wonder, because who wouldn’t be tempted by two of the world’s healthiest foods? 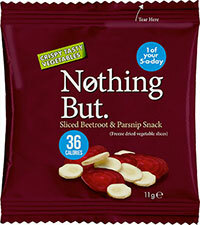 Both boast impressive quantities of Vitamins A, B6 and C – pretty much an entire alphabet’s worth of goodness! 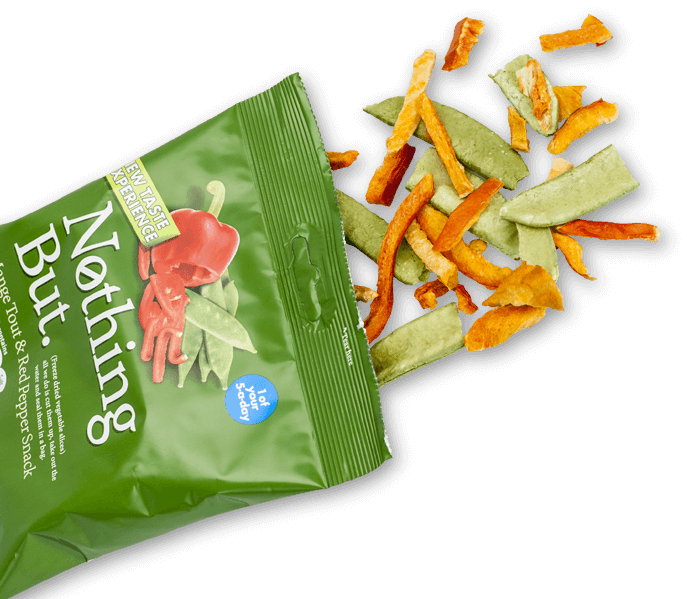 Want to know more about the freeze drying process? 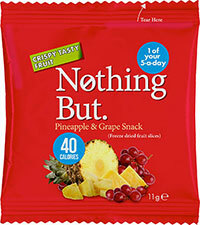 Freeze dried mange tout (50%), freeze dried red pepper (50%).